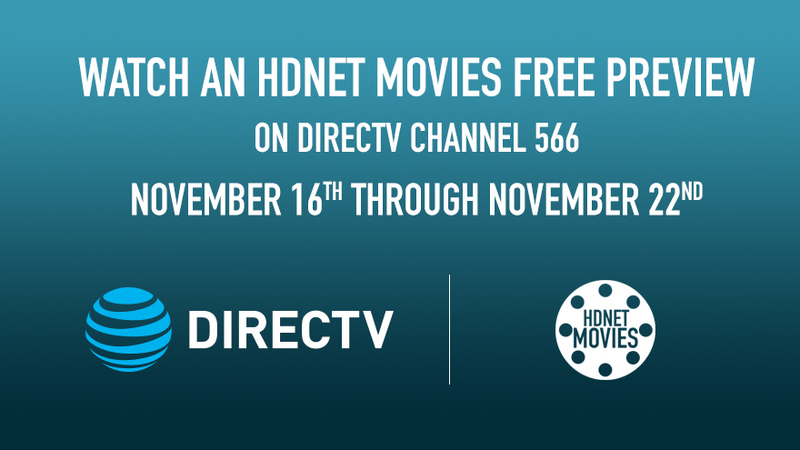 Los Angeles – Nov. 11, 2016 – DIRECTV HD subscribers will receive HDNET MOVIES for free, as part of a special free preview of DIRECTV’s “HD Extra Pack” from Wednesday, November 16 through Tuesday, November 22. During the free preview week, the high definition movie network will showcase a blockbuster lineup featuring a PERCY JACKSON “Double Serving Saturdays” two-pack; a primetime roster starring Jamie Foxx in RAY and MIAMI VICE; Jennifer Garner in ELEKTRA; Bill Murray in KINGPIN; and more. Tune in for a primetime lineup featuring acclaimed classics starring some of Hollywood’s biggest names, every night at 9pE. This week’s roster includes Jamie Foxx’s Oscar®-winning performance as blues legend Ray Charles in the 2004 biopic RAY, with Kerry Washington, on Wednesday, November 16. Next, Dennis Quaid and Tyrese Gibson get stranded in the Mongolian Desert in FLIGHT OF THE PHOENIX, on Thursday, November 17; followed by Jamie Foxx and Colin Farrell as iconic buddy cop duo Crockett & Tubbs in the network premiere of MIAMI VICE, on Friday, November 18. And gear up for adventure with an epic “Double Serving Saturdays” two-pack, starring Logan Lerman as a teenage boy who discovers he’s a descendant of the mighty Greek gods in PERCY JACKSON & THE OLYMPIANS: THE LIGHTNING THIEF, with Sean Bean and Pierce Brosnan, and PERCY JACKSON: SEA OF MONSTERS, with Nathan Fillion, at 11:05pE. The free preview week continues with Jennifer Garner as a warrior who must protect a family from sinister assassins in the network premiere of ELEKTRA, on Sunday, November 20. Then, Philippe Petit recalls his daring quest to walk the gap between the Twin Towers, in the Oscar®-winning documentary MAN ON WIRE on Monday, November 21. And Woody Harrelson stars as a washed-up bowling phenom rolling for redemption in the Farrelly Brothers farce KINGPIN, with Randy Quaid and Bill Murray, on Tuesday, November 22. Other highlights during the week include Ryan Gosling and George Clooney in the 2011 political thriller THE IDES OF MARCH, on November 17 at 11pE; Naomi Watts and Jack Black in Peter Jackson’s Oscar®-winning great ape opus KING KONG, on November 20 at 12:15pE; Aaron Eckhart in the sharp 2005 satire THANK YOU FOR SMOKING, on November 21 at 5:15pE; and the backyard baseball favorite THE SANDLOT, with James Earl Jones, on November 22 at 7:15pE.